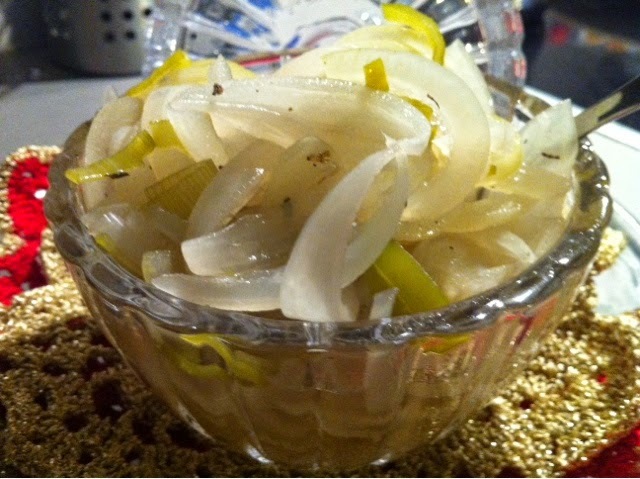 Light balsamic gets limpid marinated onions. A great side dish to meat. Measures tht boiler all the broth ingredients. Bring to the boil for a few minutes. Add the onions in hot broth. Bring to a boil fast. And its ready.Very easy ja quickly.